Renovating your home's exterior is a smart investment for any homeowner. According to Cost vs. Value 2018, new vinyl siding can yield a return on investment of over 76%. However, the price of vinyl siding is also a concern when upgrading the exterior. Generally, the cost of vinyl siding is broken down into price per square foot. One box of vinyl siding is 100 sq. foot with an average panel length of 12.5”. The cost of replacing your home's siding is sometimes tough to pinpoint to a specific number, but we’re here to spill some of the secrets on its pricing structure. The first secret that influences the cost of exterior siding replacement is quality and material. There are many siding options on the market including wood, vinyl, and fiber cement. Vinyl siding is by far one of the most cost-effective options. This does not mean it's an inferior option in terms of quality, compared with pricier materials such as wood or fiber cement. However, it’s important to understand that not all vinyl is the same. Quality and craftsmanship is a major indicator of replacement siding cost. One of the fastest ways to determine quality vinyl siding is by considering panel thickness. Builder grade vinyl siding is essentially the lowest quality and the cheapest. This thickness is around .38” inches. It gets the job done if you need a quick and cheap exterior option, but don’t expect builder grade siding to last more than a few years. When you want the best quality vinyl siding possible, consider panels that are .42” or greater in thickness. This indicates that the structural integrity of the siding is high quality and engineered to last for decades. Another indicator is panel length. Typical siding panels come in 12.5" lengths and lead to more seams which in turn can reduce the installed product's overall appearance. Quality siding comes in longer 16.7' or 25' foot lengths which minimizes the risks of seams but requires greater installation time to ensure the siding is straight and properly installed. Lastly, the siding's insulation is a major contributor of the overall costs of replacement. During the replacement process the home is typically wrapped to increase moisture resistance and then foam insulation is applied to increase energy efficiency. While this provides sufficient protection in most cases, siding with the insulation installed during the manufacturing process is a better alternative. This type of siding insulation is called fullback and is a feature of higher quality home siding. Fullback insulation increases the overall energy efficiency of the siding by reducing air cavities and providing better protection from moisture and wind. In addition, fullback insulation provides the siding with greater structural stability because it essentially increases the siding's overall thickness. As you’d expect, the quality and panel thickness will impact replacement siding cost. Economy grade and builder grade siding are the cheapest, with prices increasing as the thickness and quality increases. Consider panels that are .42” or greater in thickness. Quality siding comes in longer 16.7' or 25' foot lengths which minimizes the risks of seams. Siding with insulation installed during the manufacturing process is a better alternative. Vinyl siding is one of the most dramatic ways to increase curb appeal. There are nearly countless combinations of textures, colors, and styles to choose from. Regardless of architectural style or personal taste, there are plenty of aesthetic options to consider with new vinyl siding. With the wide variety of styles comes a wide variety of prices. While standalone vinyl panels are beautiful, there are an array of upgrades that are not standard with vinyl siding installation---thus affecting the final price. Color: Surprisingly, color is one of the few options that rarely factors in to the cost of replacing your siding. Most vinyl siding companies keep colors on inventory so the only time color really becomes a factor is when a rare or discontinued color is chosen. 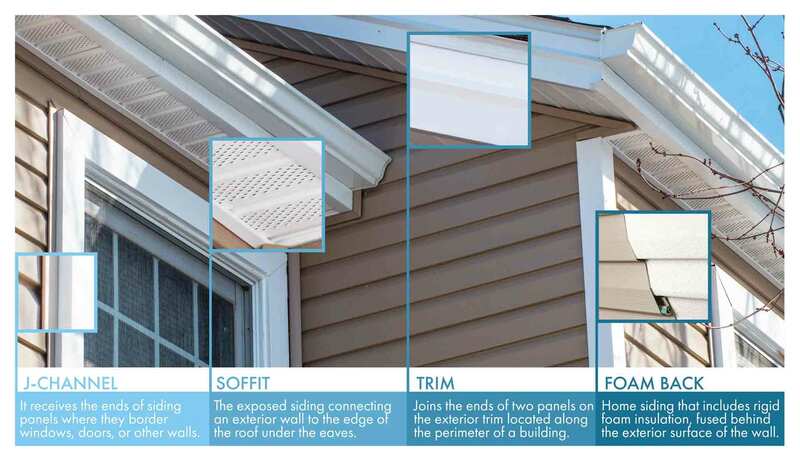 Accessories: Vinyl siding accessories include trims, moldings, soffit, and more. These accessories are typically created on the job site during installation and require a lot of skill and specialized tools to manufacture. Because of this, the more accessories needed for your particular job, the greater the cost. 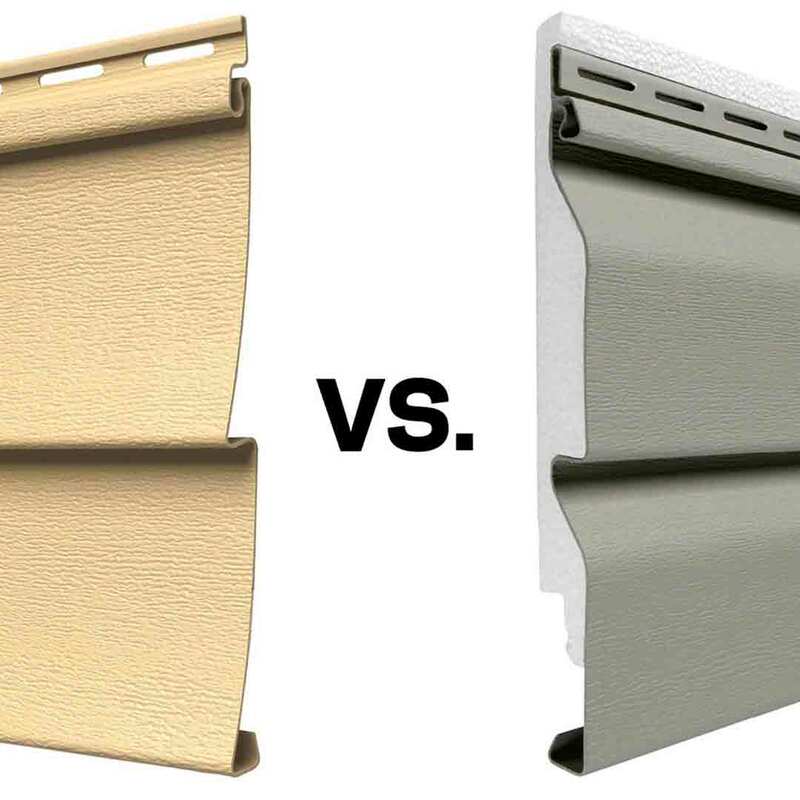 Panel styles: Vinyl siding panels have a matte or woodgrain finish which impacts the texture and the price of the panel. Upgrades such as vinyl cedar shakes and vinyl scallops can significantly impact the price as well. These vinyl siding options are designed to further boost curb appeal while highlighting window gables and eave edges. The more accessories needed for the job, the greater the cost. The finish, which impacts texture, which then can affect price. Vinyl siding installation isn’t a do-it-yourself project. Those who attempt this project without experience risk downgrading the performance of the siding or even voiding the warranty. Homeowners will find that the cost of installation varies between siding companies for several reasons, but the biggest contributing factor is the installation and warranty. With a large investment like vinyl siding, homeowners shouldn’t cut corners with warranties. Vinyl siding warranties can increase the final bill, but it helps to guarantee performance on one of the biggest investments you’ll make as a homeowner. The best siding warranties offer homeowners a lifetime of protection from things like fading and wind damage, and are generally transferrable to the next homeowner in the event the home is sold. Additionally, a siding company that backs their products and services by a strong warranty is going to go the extra mile to ensure their installers are properly trained and insured to minimize any issues that may arise from improperly an installed product or damage to the home. 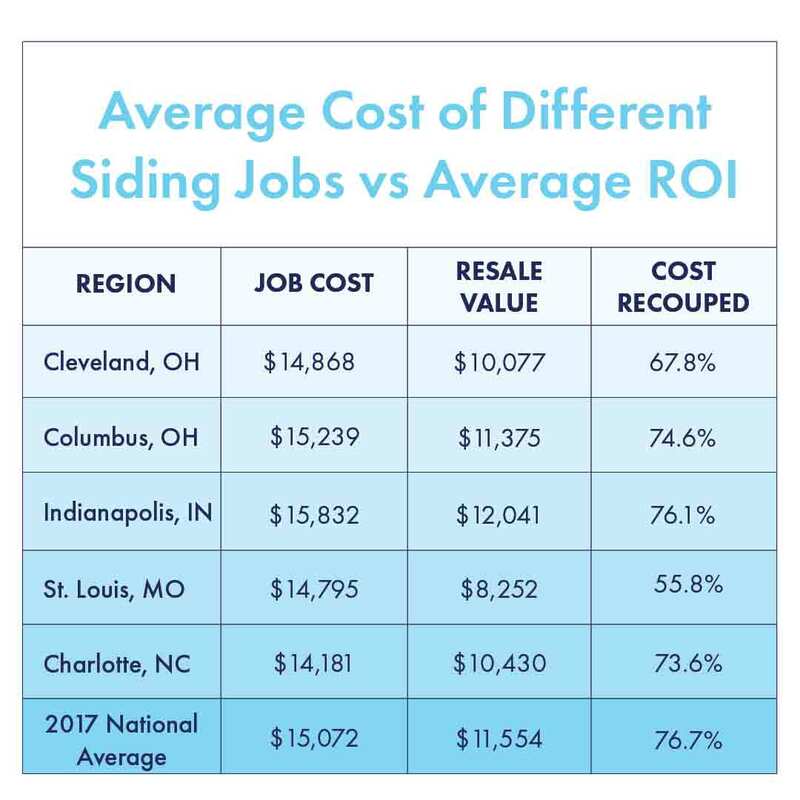 While this may seem like a cost-saving measure as properly installed products mean less service calls, the time and resources required to train, license, and insure installers on an ongoing basis will increase the costs of a replacement siding job. But, as a homeowner, choosing a company with one of the best siding warranties means you can rest easy knowing that your siding is properly installed and providing you all of it's available benefits. Biggest cost contributor is installation & warranty. Best siding warranties offer homeowners a lifetime of protection, and are transferrable to the next homeowner. Properly installed products mean less service calls. What is the Price of Vinyl Siding? When trying to decide whether or not to replace your home's siding, the best way to find out the cost of the job is by getting a siding replacement estimate. There is no clear answer, but an experienced and knowledgeable sales representative will help guide you through the process of finding the right fit for both your home and your wallet. You’ll get everything you want without sacrificing quality or any needs specific to you. When it comes to increasing the value of your home, you don’t want to cut corners. Universal Windows Direct offers premium, quality siding at an incredible value. 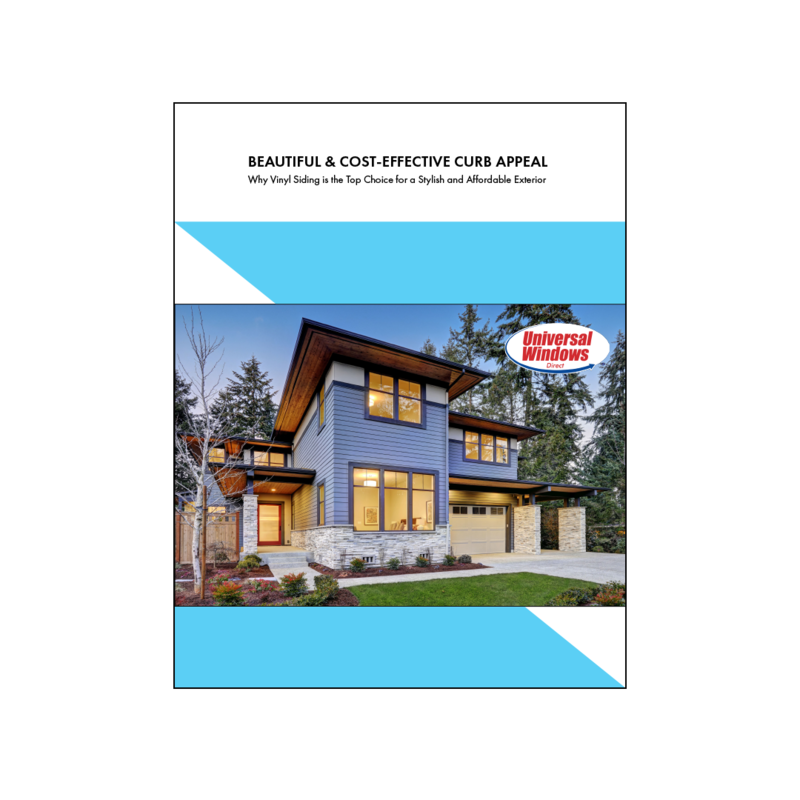 Download our FREE guide to learn why vinyl siding is the top choice for remodeling your home's exterior.